In an exclusive interaction with People Matters in the light of International Women’s Day, Neha Bagaria, sheds light on why reskilling becomes imperative for women in order to stay relevant in today’s challenging work scenario. A woman’s career is dictated more by the stage of life she is in rather than totally by her aspirations. 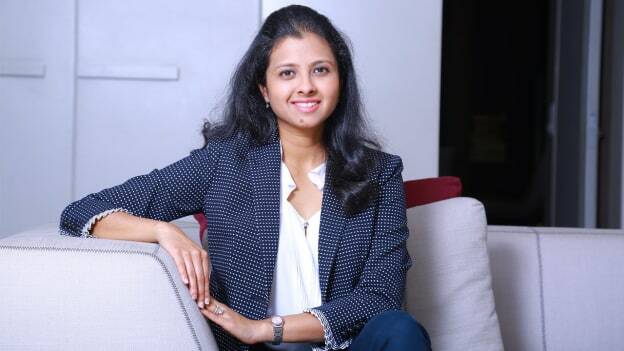 This is the reality which hit Neha Bagaria, founder & CEO of Bengaluru based JobsForHer, when she re-joined the workforce after a gap of three years post her maternity break. The challenges she faced resulted in her drive to build a platform to ensure better participation of women in the workforce, no matter what stage they are in. In an exclusive interaction with People Matters in the light of International Women’s Day, Neha Bagaria, shares light on why reskilling becomes imperative for women in order to stay relevant in today’s challenging work scenario. Could you elaborate on how the concept of ‘JobsForHer’ has evolved and how you began this journey? The journey of JobsForHer began with the restarting of my own career. After completing graduation I established my own educational company in Mumbai and post marriage, I got involved in the pharmaceutical manufacturing business owned by my husband’s family in Bengaluru. When I restarted my journey after taking a break for three and a half years due to childbirth, I could easily identify the possible challenges that existed in the Indian career reality space. It is for solving such problems with the aid of legal technology that I found ‘Jobs For Her’ in March which is dedicated to working for ensuring a better participation of women in the Indian workspace. When analyzing the challenges that exist in the workplace, the major one which requires to be tackled is obviously the mindset of the organizational ecosystem. The common problem that women encounter is a lack of confidence. Even if they have not been working in a particular skill set for a few years, it doesn’t mean that they cannot recreate their abilities. The social, as well as family aspects, are also to be discussed and changed. It is important to break the taboo of considering working women as bad mothers or bad wives by developing an atmosphere where families start feeling proud of and extending their support to women on their journey. In addition, companies also need to realize that they need not hire people for social reasons but for the bottom line. We recommend a change in the workplace policy related to the infrastructure environment of companies to ensure more women participation in the future. It has been a great experience for us while working with five thousand companies which employ women in the portal and three hundred reskilling partners who help us in bridging the gap by constantly upskilling so that we can take it to the next level. What are the key findings which you identified through your experience related to reskilling? While discussing the career re-entry, thirty percent of women who just restarted their job wanted to develop their skills in a comprehensive manner. The second finding was that twenty six percent of them wanted to gain confidence which formed the crux of re-skilling. It is the fact that women updated skills on their own and upgraded their knowledge with the latest technology which gave them enough courage to attend an interview successfully that created confidence in them, more than developing a particular skill set. Then it’s important to decide on the kind of reskilling such as technical skills or soft skills. Majority of women search for technical skills which are often considered as a barrier for them but in reality, is much easier to reskill. Today everyone involved in the workspace needs to reskill to keep pace with the technology, thus women can also pursue the same to learn about AI, data science and blockchain. In addition, they also need to focus on soft skills such as communication skills that are essential in the workplace when they restart their career. Is it possible for women to reskill themselves by taking online courses and volunteering? I consider volunteering as a perfect method to reskill yourself. A large talent pool of experienced candidates who are willing to volunteer for reskilling is often unrecognized by companies. We have organized a volunteering programme where any women can participate for three months, select the departments where she wants to work in. The interactive policies of this programme make it a successful venture and we usually benefit from them. Unfortunately, the companies have not been able to make use of such talents through injecting fresh thinking into them in the workplace. How do the organizations transform and amend the work culture for this purpose? After giving priority to reskilling, the next key area to be addressed is the labor intensive function in companies. For instance, it is extremely simple for all companies to offer an internship for students. We can break the mindset by implementing the same norm when internships are also offered to elderly women. It will provide them a platform like students where they are able to reshape their talents and skills. A huge mindset change is required to bring this about-what if organizations fail to recognize the willingness of women? I have found that almost one-third of women are interested in and open to volunteering or internship even if the companies disagree on their willingness. For instance, I know a woman with twenty three years of experience who joined us as a volunteer for three months to explore different kinds of roles. The most incredible aspect which rendered us more happiness was the fact that on the basis of this role, she has started a foundation of her own. How can HR ensure that the other sections of the working population could also get the benefit of career re-entry? I think it’s important to focus on the skills and abilities of the person rather than the break he or she has taken for various reasons. Women are often prompted to take a break due to the life stages such as marriage and maternity. Today, several companies are offering provisions of mentoring open to both men and women if they want to take advice about the break and to look beyond it. It is also a tactic to retain the right talents in the organization. What are the trends that you see in the reskilling space in organizations? Companies need to develop their specific intervention for women. A lot of promising programmes intended to generate and improve soft skills are being organized by them as a part of reskilling. Once we had an opportunity to work with two educational institutions which offered specific intervention programmes required for women in terms of building confidence and providing mentorship and aspiration that might not happen in the co-ed educational setting. They also assisted women to tackle issues such as fear and lack of confidence through skill management and fear management courses.